All manufacturers have to limit the power and MPG of their vehicles in order to adhere to the many. 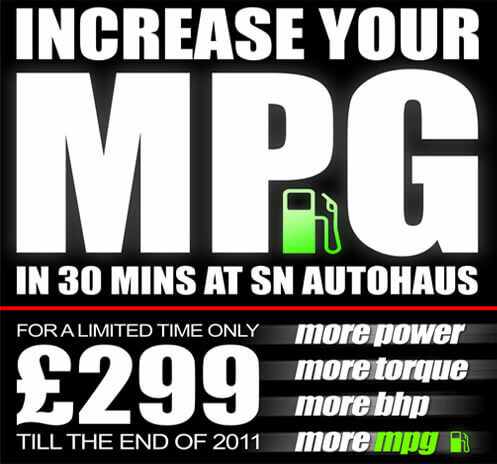 We can improve the fuel economy of your car as well as giving it more torque, power and drivability. These may sound like bold and unlikely claims but we can achieve this by removing the flat spots in the power delivery and maximizing the efficiency by carefully tuning the exact amounts of fuel delivered to the engine. A: This is a very common question that we get asked. The answer is very simple, the factory could map your car, however they choose not to for many reasons, the most important is marketing, cars are manufactured to fit into a market category and the ‘marketing boffins’ sets out the criteria for categories and the cars ECU is mapped to fit into these categories. It also allows for a enough power separation between various models. Manufacturers will also produce two identical cars with identical engines, then simply offer the car in two states of tune, this is a very economical way of extending a model range. Examples of such cars include the BMW Mini One and the BMW Mini Cooper, another example is the VW Golf Tdi 104BHP and the Golf TDi 140bhp. A: We always remap with consideration for the engine and never exceed the engines limits. A: Yes, as we have our own in house map writers we can gear our maps to our customers requirements, whether that be for economy, all out power or for towing purposes. Q: Will my engines life expectancy be shortened. A: No, we map the ECU to optimise the performance without exceeding your engines limits. Q: Can my car be reverted back to original, should I need to? A: We can always return you car to standard should you need to. Q: Will you need to dismantle my car ECU to program it. A: Normally on most modern cars we can reprogram the ECU through the car’s OBD port. Q: Will I need to upgrade my brakes after a remap. A: On most cars the brakes can easily handle the extra power. However should you want to upgrade your brakes we can advise and supply upgraded pads, discs and calipers.